Chalk up another win for the rumor mill as RadioShack has officially announced that their No Contract Wireless service will launch tomorrow. There aren’t a ton of surprises here as early information was mostly spot-on but we now know that The Shack will offer two phones in collaboration with Cricket Wireless initially before adding more to the lineup later this month. As you might expect, both phones are on the lower end of the spectrum. The $149.99 Huawei Mercury Ice includes a 1.4GHz processor, a 4-inch FWGA display, an 8-megapixel camera and an extremely dated Android 2.3 operating system. RadioShack’s feature phone is the Huawei Pillar, a handset resembling a BlackBerry with a full QWERTY keyboard that will sell for $39.99. Monthly service rates start at just $25 for the feature phone and $50 for the smartphone. Both handsets will include unlimited text, unlimited multimedia text, web access, voicemail and caller ID. 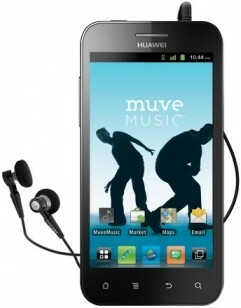 Smartphone users will also have access to Cricket’s Muve Music, a service designed specifically for mobile phones. 3G data on the $50 plan will be throttled after 1GB while those opting for the $60 plan will see full speeds up to 2.5GB. Tethering is also bundled with the more expensive plan. Furthermore, RadioShack will be giving smartphone buyers a free 8GB SanDisk memory card to store photos, videos and music on their device. Phones and plans will go on sale tomorrow at RadioShack retail locations across the US.